Even though modern cars come with some expensive stock sound systems, they still don’t quite compare to having your very own bespoke speakers. Picking out the right sound system for your car isn’t easy and it requires a lot of thought as there are many factors which need to be accounted for. First of all, you need to decide whether to go with full-range or component speakers, in addition to the size of the speakers, sound quality sensitivity, build quality and their overall power. Think about how loud you want your speakers to go or what type of music you’ll typically listen to; you don’t need big bass-y speakers if you’re going to primarily be listening to the charts. Sensitivity means the amount of power which the speakers need to produce a volume level, so speakers which have a higher sensitivity require much less power. If you’ve got a regular factory stereo, then you will need speakers which have a higher sensitivity level, whereas speakers which have a lower level of sensitivity will work fine with high-powered stereos. To find the right level of sensitivity, you need to know how much power your stereo gives out. 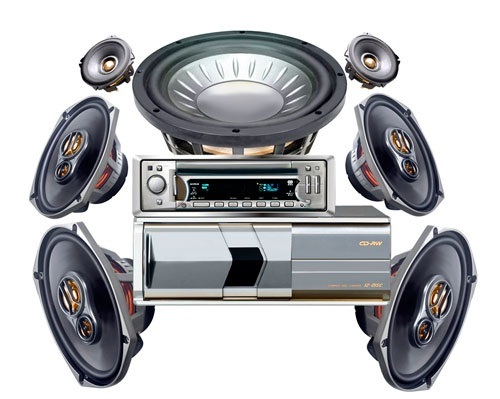 Regular stock speakers found in cars are generally made with lower-quality materials which degrade and break down as time goes by. This is why you should be upgrading your speakers; even a small investment can provide a massive boost to sound quality, even if you don’t upgrade the overall sound system. You should also be looking for speakers which use decent quality materials for the surrounds, such as rubber or foam and cloth. Rubber is the best material and will last a long time, whereas foam and cloth will last a long time, but not as long as rubber. Most factory speakers are made from foam and paper, however, which is pretty rubbish! If you’re wanting to push your speakers to their limit and put out a lot of sound, you’ll need speakers which can handle the power which your sound system throws at it. Simply put, power handling is the level of power (in watts) which you can pump through your speakers. Generally speaking, the higher the power level the better, as they can put out a lot of sound at varying frequencies without hampering the overall sound quality or damaging the speaker. To get the most out of your sound system, the speakers need to be able to handle all the power thrown at it. Although cars nowadays do come with some good sound systems, nothing is quite as satisfying as one you have picked out for yourself! There’s a lot to think about when investing in a sound system, with the three above points just a few of many.